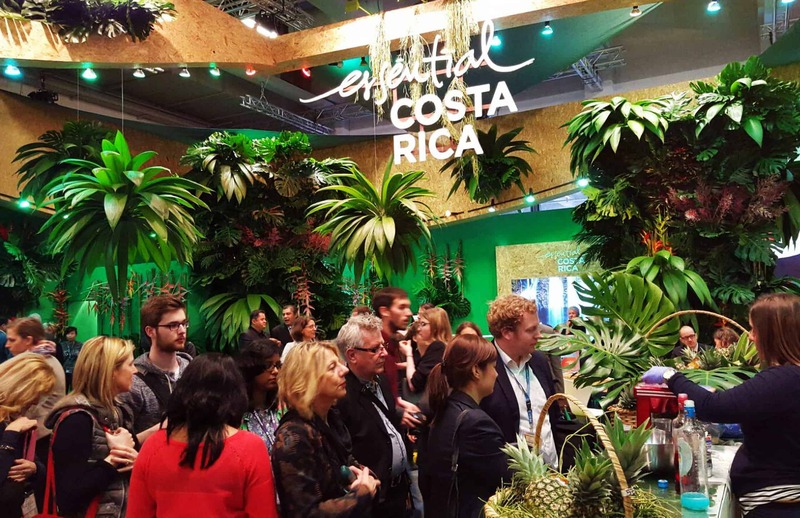 A recent evaluation of the country brand “Essential Costa Rica” found that its brand equity jumped 12 spots as a tourism destination and five in the trade and investment destination categories of the Country Brand Ranking 2017-2018. 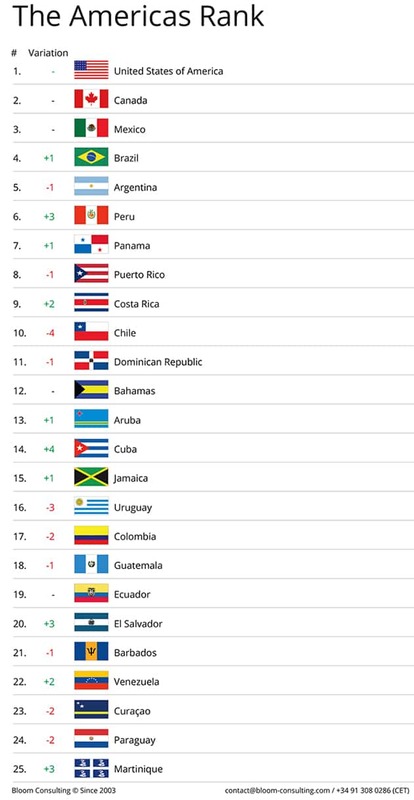 Costa Rica ranked 9th in the continent and 46th in the global ranking, “which is an incredible twelve-position leap” from last year, when it was 58th, the study noted, adding that it is the fastest growing in the Americas. Consulting firms Bloom Consulting and Place Matters, both of which specialize in evaluating countries’ positioning in foreign markets, analyzed the perception of the country brand — launched three years ago — among tourists, investors and buyers. In Central America, Costa Rica’s brand ranked second behind Panama, which is 7th in the continent. Guatemala, at 18th, and El Salvador, 20th, were the other Central American countries that made the top 25 list for the Americas, topped by the United States. Costa Rica’s Country Brand committee, which brings together officials from the Foreign Trade Ministry, the Foreign Ministry, the Costa Rican Tourism Board, Costa Rican Investment Promotion Agency and the Foreign Trade Promotion Office (PROCOMER), released the full results on Thursday. Bloom Consulting’s strategy director Gonzalo Villar said that the Costa Rica brand has a strong attraction both for tourism and business when compared to its Latin American competitors. “In addition, [the result] is not just about the country’s good reputation. It is also about the country showing a sustained improvement trend over the past 36 months,” he said in a news release. The firms evaluated big data from web searches and found that Costa Rica maintains prominent positioning as a natural tourism destination. They also found that it showed a noticeable improvement in its image as a business partner in the Americas. Consultants gathered information from nearly 63 million online searches over the last three years in 11 different languages. Travelers browsing for a tourist destination searched “Costa Rica” nearly 7 million times between April 2016 and March 2017. Just over 350,000 searches were conducted exploring Costa Rica as a possible destination for buying products or for investing. Searches in these three sectors recorded positive growth rates that placed the country within the top 10 in the Americas. Online searches of Costa Rica as a tourist destination rose by 23 percent, while searches for the country as an investment destination went up by 19 percent. Searches for Costa Rican export products rose by 15 percent in the one-year period. Country Brand Committee Chairman and PROCOMER General Manager Pedro Beirute said that results confirmed that the strategy of integrating tourism, trade and investment is the right one. A total of 287 companies from several sectors are licensed to use the “Essential Costa Rica” brand. Public agencies from the Country Brand Committee are working on two new international promotion campaigns designed to target audiences through online media and television. The firms conducting the study carried out 900 interviews with journalists, press agencies, tourism entrepreneurs, international recruiters, international organizations, trade leaders and multinational companies leaders. They also spoke to travelers and investors from the U.S., England, Spain, Canada, France, Switzerland, Netherlands, Germany and Panama.